Spiderman hanging from the ceiling and Iron Man’s suit illuminated amid an array of lights are just two of the things on display at the Museum of Pop Culture’s “Marvel: Universe of Superheroes” exhibit in Seattle. University of Oregon English professor, Ben Saunders, was recently featured in a Forbes article for his work as the chief curator on MoPOP’s latest Marvel exhibit. Saunders and his team were able to find and assemble more than 300 different works from Marvel since the company’s conception almost 80 years ago. 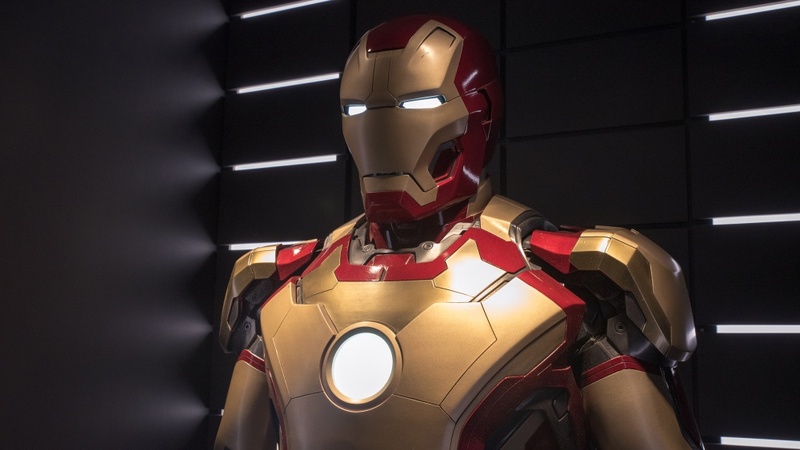 “‘Marvel: Universe of Superheroes’ is the largest and most comprehensive exhibition of superhero art and memorabilia mounted by a major museum in North America,” an article in Forbes magazine says of the display. The exhibit features the original 1962 comic that shows Spiderman in costume for the first time, along with a number of other vintage Marvel Comics originals. However, the content of the museum is not the only star of the show. Saunders was also acclaimed for his ability to assemble the chaotic storylines of the Marvel universe into a seamless artistic masterpiece. “Perhaps the main achievement of Saunders and the team of curators of the ‘Marvel: Universe of Superheroes’ show is to create a through-line that connects 80 years of story, from the innocent and unsophisticated work of the Golden Age to the dense cosmology of today’s transmedia Marvel empire, ” the article says. This exhibit, organized by Saunders and his team, will be on display until early January 2019.